Hi everyone! I'm posting over at Twine It Up! with Trendy Twine today. 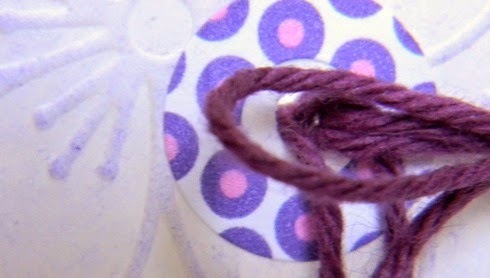 I used a lot of fun products from Annie's Paper Boutique along with the fabulous Totally Grape Trendy Twine. Here's my sneak peek! Please be sure to head over to Twine It Up! with Trendy Twine to see the whole project. And check out the challenge, you have one more day to enter!